Here’s a fun gadget, which is not only a web cam but is also comes with three interactive games, the ANEO Web Camera. 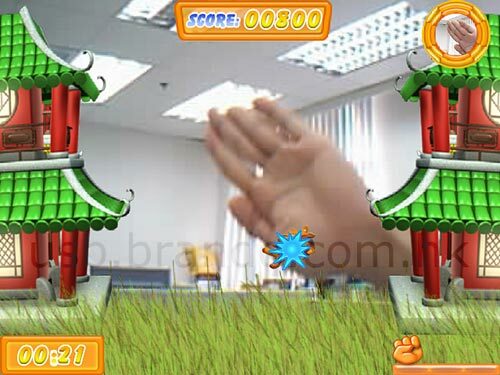 The games included are Kungfu, Super Knight and Funny Stair. The camera detects your motion and then displays it on thje screen and in the game as shown in the photo below. The webcam also looks pretty cool, like a stick man and comes in a choice of white or black. This fun webcam with interactive games is available to buy online for $33.00 from Brando.